As the snow falls, Sam watches me shovel the sidewalk from the comfort of his window seat. He didn’t offer to help. 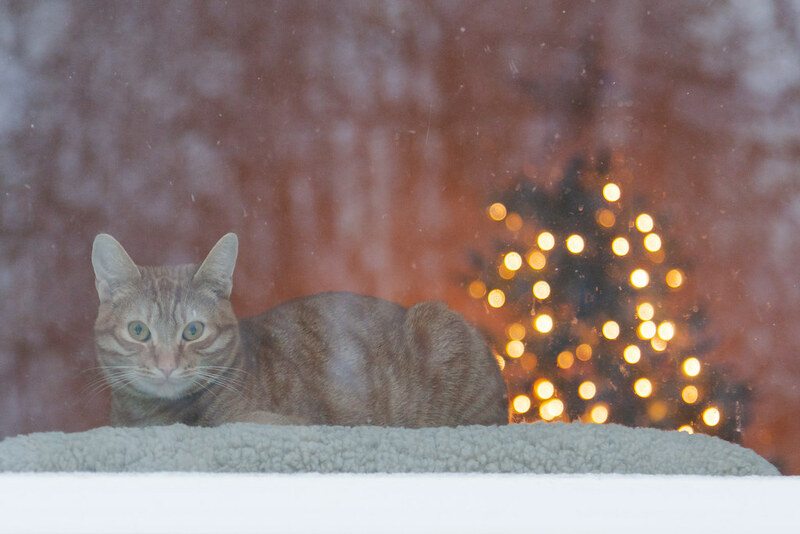 This entry was posted in Pets and tagged cat, cat seat, Christmas lights, Christmas tree, orange tabby, picture window, resting, Sam, snow, window seat. Bookmark the permalink.